Hydrogels are 3D networks that have a high water content. 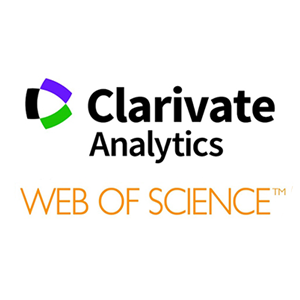 They have been widely used as cell carriers and scaffolds in tissue engineering due to their structural similarities to the natural extracellular matrix. Among these, smart hydrogels refer to a group of hydrogels that is responsive to various external stimuli such as pH, temperature, light, electric, and magnetic field. Combining the potential of 3D printing and smart hydrogels is an exciting new paradigm in the fabrication of a functional 3D tissue. In this article, we provide a state-of-the-art review on smart hydrogels and bioprinting. We identify the critical material properties needed for the most commonly used bioprinting techniques, namely extrusion-based, inkjet-based, and laser-based techniques. The latest progress in different smart hydrogel systems and their applications in bioprinting are presented. 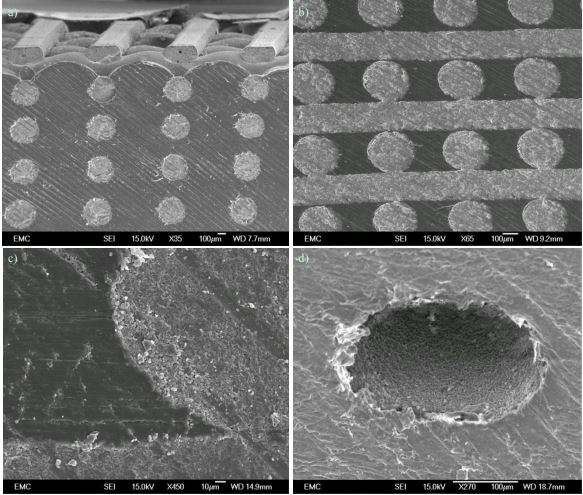 The challenges of printing these hydrogel systems are also highlighted. Lastly, we present the potentials and the future perspectives of smart hydrogels in 3D bioprinting. Bioprinting is one of several newly emerged tissue engineering strategies that hold great promise in alleviating of organ shortage crisis. To date, a range of living biological constructs have already been fabricated in vitro using this technology. However, an in vitro approach may have several intrinsic limitations regarding its clinical applicability in some cases. 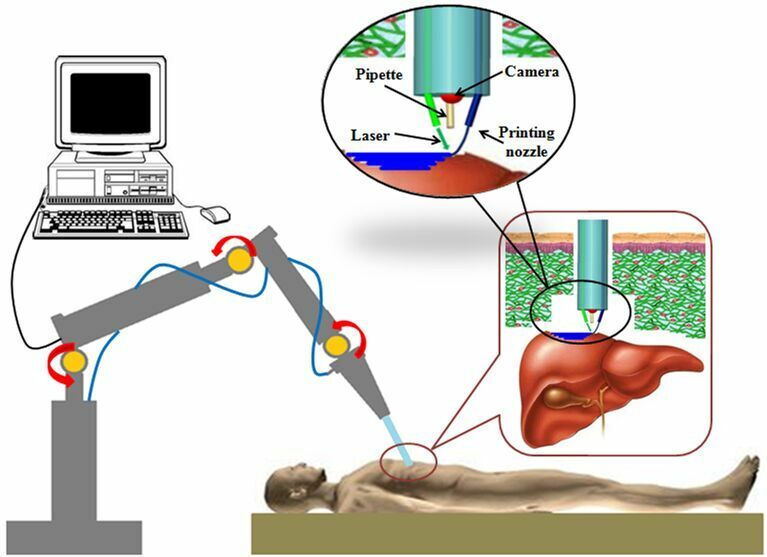 A possible solution is in vivo bioprinting, in which the de novo tissues/organs are to be directly fabricated and positioned at the damaged site in the living body. This strategy would be particularly effective in the treatment of tissues/organs that can be safely arrested and immobilized during bioprinting. Proof-of-concept studies on in vivo bioprinting have been reported recently, on the basis of which this paper reviews the current state-of-the-art bioprinting technologies with a particular focus on their advantages and challenges for the in vivo application. About 15-25% of aging population suffers from swallowing difficulties, and this creates an increasing market need for food mass customization. Food industry is investigating mass customization techniques to meet individual needs on taste, nutrition and mouthfeel. 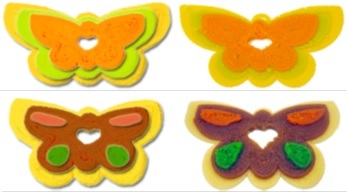 Three dimensional (3D) food printing is a potential solution to overcome drawbacks of current food customization techniques such as lower production efficiency and high manufacturing cost. This study introduces the first generation food printer concept designs and functional prototypes that target to revolutionize customized food fabrication by 3D printing (3DP). Different from robotics-based food manufacturing technologies designed to automate manual processes for mass production, 3D food printing integrates 3DP and digital gastronomy technique to customize food products. This introduces artistic capabilities into domestic cooking, and extends customization capabilities to industrial culinary sector. Their applications in domestic cooking or catering services can not only provide an engineering solution for customized food design and personalized nutrition control, but also have potential to reconfigure customized food supply chains. In this paper, the selected prototypes are reviewed based on fabrication platforms and printing materials. A detailed discussion on specific 3DP technologies and their associate dispensing/printing process for 3D customized food fabrication with single and multi-material applications are reported. Lastly, impacts of food printing on customized food fabrication, personalized nutrition, food supply chain, and food processing technologies are reported and discussed. The fabrication of physiologically active tissue constructs from various tissue elements are vital for establishing integrated bioprinting and transfer printing techniques as vital tools for biomedical research. Physiologically functional tissues are hierarchically constructed from a variety of tissue subunits with different feature sizes and topographies. For example, skeletal muscles are composed of many muscle bundles, muscle fibers, and muscle cells respectively. The fundamental constituents of all types of muscle tissues include various sized blood vessels, and vascular related cells. Nature has designed the direction of all the aforementioned components to have unidirectional alignment, so that muscle contractions can effectively generate the mechanical functions. In this study, we demonstrate a promising approach to fabricating such hierarchical tissues by applying bioprinting and a transfer patterning technique. Linear-patterned smooth muscle cells were obtained by culturing on the surface patterned discs, before being transferred onto the Matrigel substrate. 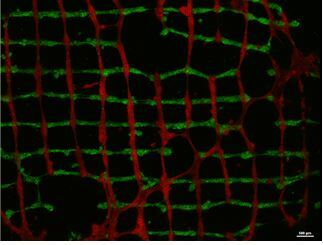 The fiber-like tissues structures were successfully formed on the substrate after a few days of culturing; these are partially aligned smooth muscle cells. Additionally, stacked structures were also successfully fabricated using laminating printing technique. 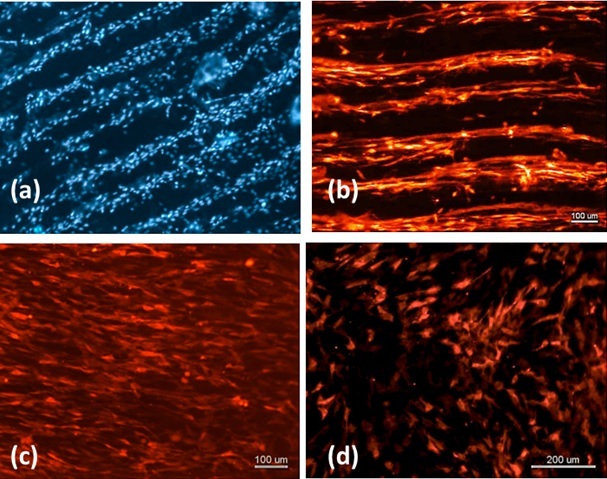 Our results indicate that bioprinting and transfer printing strategy of pre-cultured aligned muscular fiber-like tissues is very promising method to assemble tissue elements for biofabrication of hierarchical tissues. Bioprinting is a layer-by-layer additive fabrication technique for making three-dimensional (3D) tissue and organ constructs using biological products. The capability to fabricate 3D tubular structure in free-form or vertical configuration is the first step towards the possibility of organ printing in three dimensions. 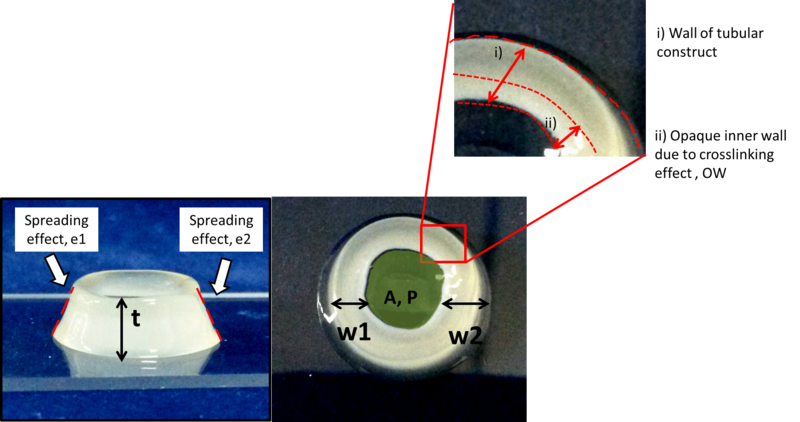 In this study, alginate-based tubular structures of varying viscosity were printed vertically using multi-nozzle extrusion-based technique. Manufacturing challenges associated with the vertical printing configurations are also discussed here. We have also proposed measurable parameters to quantify the quality of printing for systematic investigation in bioprinting. This study lays a foundation for the successful fabrication of viable 3D tubular constructs. The application of bioprinting allows precision deposition of biological materials for bioengineering applications. Here we propose a 2 stage methodology for bioprinting using a back pressure-driven, automated robotic dispensing system. This apparatus can prepare topographic guidance features for cell orientation and then bioprint cells directly onto them. Topographic guidance features generate cues that influence adhered cell morphology and phenotype. The robotic dispensing system was modified to include a sharpened stylus that etched on a polystyrene surface. The same computer-aided design (CAD) software was used for both precision control of etching and bioink deposition. Various etched groove patterns such as linear, concentric circles, and sinusoidal wave patterns were possible. Fibroblasts and mesenchymal stem cells (MSC) were able to sense the grooves, as shown by their elongation and orientation in the direction of the features. The orientated MSCs displayed indications of lineage commitment as detected by fluorescence-activated cell sorting (FACS) analysis. A 2% gelatin bioink was then used to dispense cells onto the etched features using identical, programmed co-ordinates. 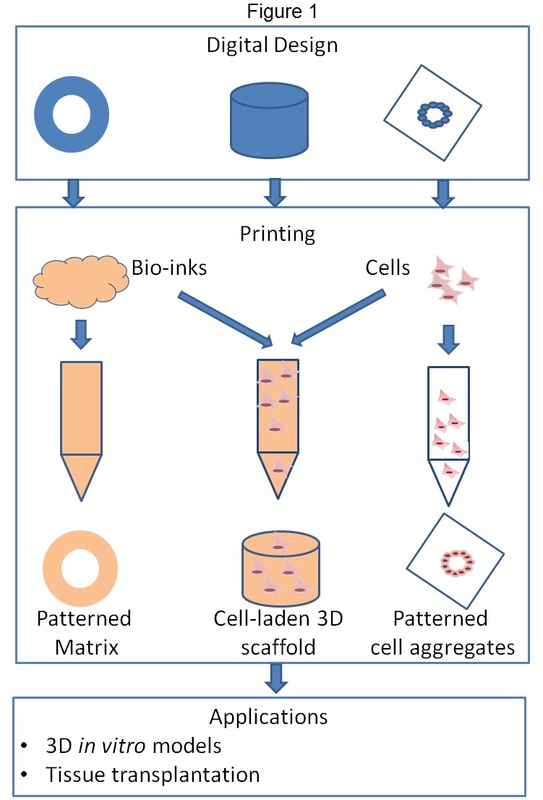 The bioink allows the cells to contact sense the pattern while containing their deposition within the printed pattern.The application of bioprinting allows the precision deposition of biological material for bioengineering applications. Here we propose a 2 stage methodology for bioprinting using a back pressure driven automated robotic dispensing system. This apparatus can prepare topographic guidance features for cell orientation and then bioprint cells directly to them. Topographic guidance features generate cues that influence adhered cell morphology and phenotype. The robotic dispensing system was modified to include a sharpened stylus that etched a polystyrene surface. The same CAD software was used for both precision control of etching and bioink deposition. Various etched groove patterns were possible, such as linear, concentric circles and sinusoidal wave patterns. Fibroblasts and mesenchymal stem cells (MSC) could sense the grooves, elongating and orientating themselves in the direction of the features, with the MSCs displaying indications of lineage commitment. A 2% gelatin bioink was then used to dispense cells onto the etched features using identical programmed co-ordinates. The bioink allows the cells to contact sense the pattern while containing their deposition within the printed pattern. 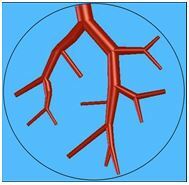 The creation of a vascular system is considered to be the main object for complex organ manufacturing. In this short review, we demonstrate two approaches to generate a branched vascular system which can be printed using rapid prototyping or bioprinting techniques. One approach is constructing mathematical tree models on the basis of human physiological characteristics and calculating the model using constrained constructive optimization to obtain three-dimensional (3D) geometrical structures. The rules of the branching of the vessel tree were extracted from the literature. 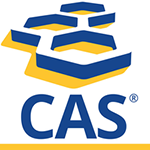 Another approach is using computer-aided design models to build a multi-scale vascular network including arteries, veins, and capillaries. A 3D vascular template with both synthetic scaffold polymer and cell/hydrogel was created in our group, using a double-nozzle, low-temperature deposition technique. Each of the approaches holds promise in producing a vascular system.